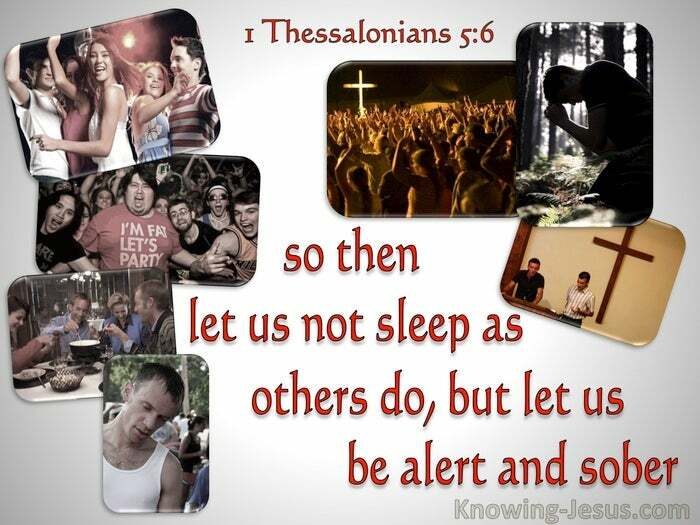 What Does 1 Thessalonians 5:6 Mean? The coming 'Day-of-the-Lord' is a future period of time, when God will intervene in the history of mankind, once again. This prophesised 'Day' is not a 24-hour long period, but a specific season in the history of the world. 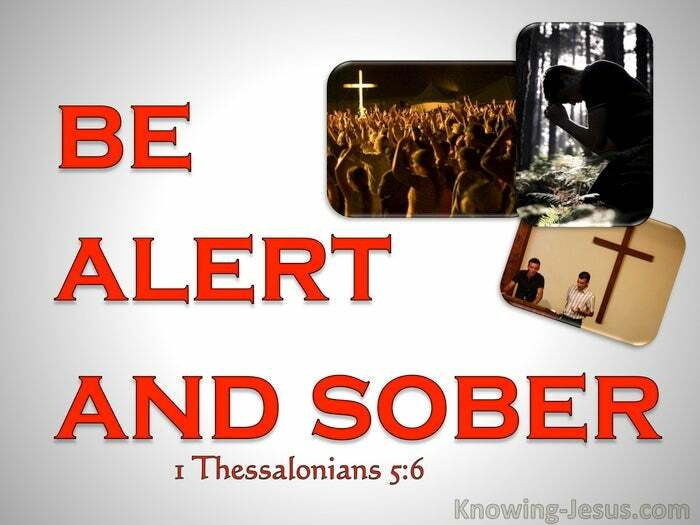 As Christians, we are exhorted to be alert and sober, as we see this 'Day' approaching. We should not to allow this day to creep up on us unawares, or sleep as others do. 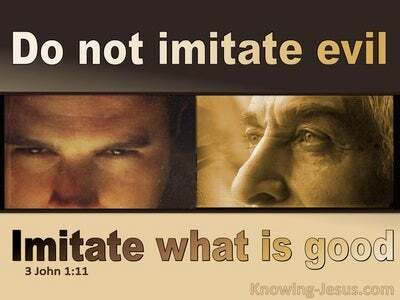 We should not be indifferent or lukewarm, but should walk in spirit and truth, and live circumspectly. The former grouping refers to unbelievers, while the latter clearly identifies saved individuals. 'THEY' are people who have not trusted Christ as their Saviour, while 'WE' are those that have been saved by grace, through faith in Christ. 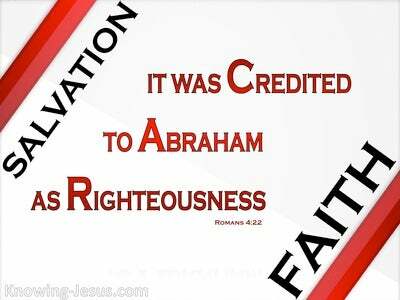 Every member of the human race falls into one of these two categories - the unsaved and the saved - i.e. 'THEM' and 'US'. They will have to go through it but we will escape from it. 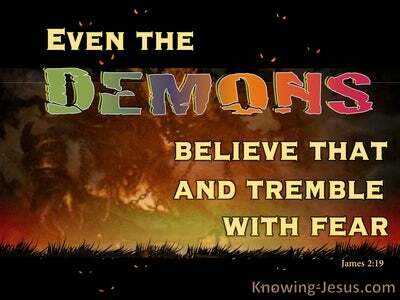 Paul explains that the 'Day-of-the-Lord' will arrive like a 'thief-in-the-night', for 'THEM'. For the unsaved it will arrive suddenly and unexpectedly. That day will creep up on them, quietly and deceptively, and in its wake, will come inevitable and inescapable destruction, and bitter tribulation. Unbelieving Israel and unbelieving gentiles are the group that are labelled: 'THEY', in this verse. We, on the other hand, will see this 'Day' approaching. However, during 'the Time of Jacob's Trouble', Israel will be purified through it, and will recognise Christ as their Messiah, while a multitude without number will turn to the Lord in faith, and be brought into Christ's kingdom. Although they will not be part of the Church, they will serve the Lord for 1000 years, and sing songs of rejoicing to the Lord our God. But before that great and terrible Day-of-the-Lord, the Church will be removed. The trumpet will sound, the bodies of dead believers will be resurrected. And we who are alive and remain will be caught up to meet the Lord in the air, and from then on, we will ever be with the Lord. There are many indications that the time for God's next intervention into the history of the world is almost here. The Day-of-the-Lord is very close - closer than when we first believed. So then let us not sleep as others do. 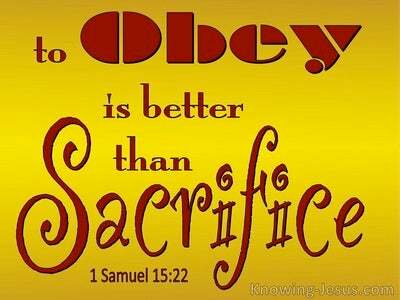 Let us not allow the Day of the Lord to suddenly overtake us by surprise, as it will for the unbelieving world. Let us recognise, from the prophetic Scripture, that the coming 'Day-of-the-Lord' is fast approaching - so let us be alert and sober, and encourage one another, as we see the day getting closer.